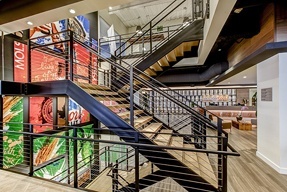 Custom staircase design, decorative metal stairs and unique ornamental railings are often a top choice of items by architects and designers to express a strong focal point in today's buildings. 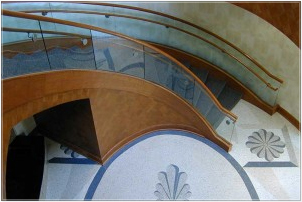 A decorative staircase, curved, straight or spiral offers unlimited design choices serving as the main point of interest in room where your eye is drawn first. Don't spend your time searching for information on designing your staircase. 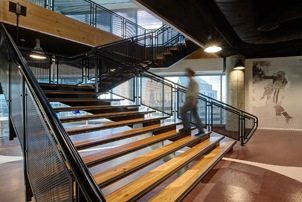 Simplify your design process by following our "10 Top Considerations for Stair Design" reference guide. This single page reference was written to easily step you through each component of your stair design. You may even find yourself sharing this reference with others in your office. Boston Society of Architects, Boston MA. 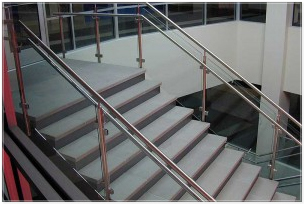 Single Plane 3/4″ Steel Plate Stairway with Glass Risers. Bronson Methodist Hospital, Kalamazoo, MI. 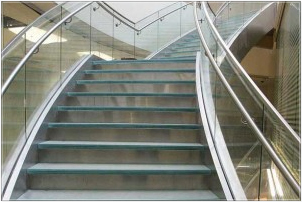 Custom Staircases with painted steel and glass railings. Collier County Courthouse, Naples, FL. Curved Staircase Surrounding Feature Wall. Fort Lauderdale Hollywood Intl. Airport, Ft. Lauderdale, FL. 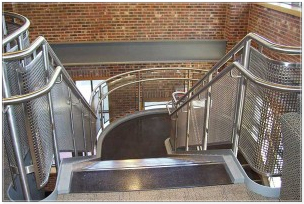 Curved Staircase Stainless Steel Clad with Glass Railings. Cooley Law School, Lansing, MI. 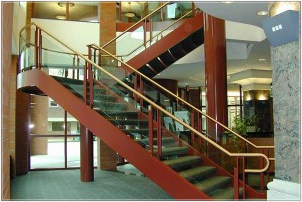 Straight Staircase with curved landings, brass and glass guardrails. Domino’s Pizza Headquarters, Ann Arbor, MI. 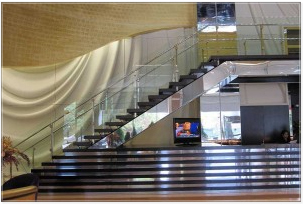 Curved Staircase Three Levels with Glass Railings & Stainless Steel. 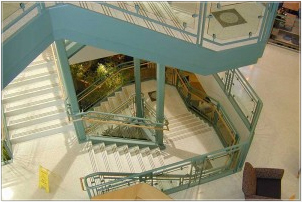 Farmington State Bank, Farmington, CT. Center Column Supported, Open Riser Staircase with Glass and Brass Railings. 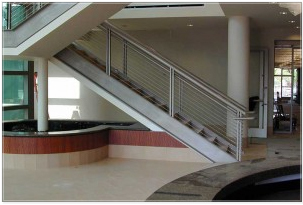 Georgia Southern University, Statesboro, GA. Curved Staircase with Stainless Steel & Glass Guardrails. GM 2000 International Auto Show, Detroit, MI. 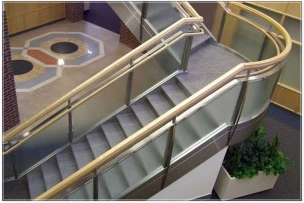 Straight & curved Staircases with stainless steel and glass railings. Greektown Casino, Detroit, MI. 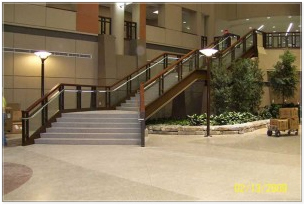 Stainless steel grand Staircase, tempered glass and stainless steel railings. Grosse Point Woods Library, Grosse Point Woods, MI. 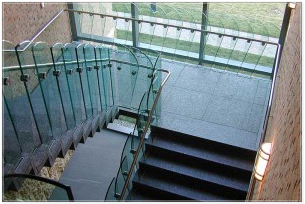 Cantilevered Staircase with Scalloped Glass & Stainless Steel Railings. Henry Ford Hospital, Detroit, MI. 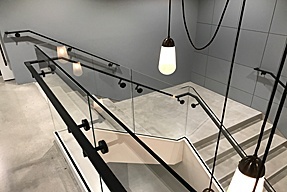 Flared Stairway with Lighted Handrail and Glass Infill Panels. Herrick District Library, Holland, MI. 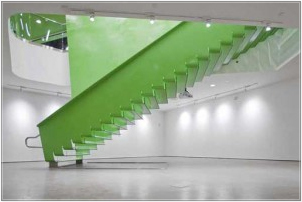 Curved lighted open riser painted steel Staircase with glass & stainless steel handrails. Hilton Garden Inn, Detroit, MI. 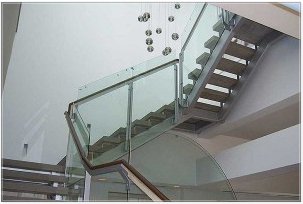 Straight Staircase with Curved Landings, Glass and Stainless Steel Railings. Holland Hospital, Holland, MI. 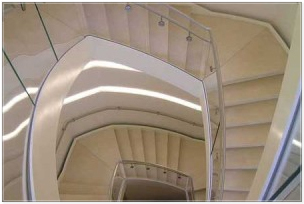 Straight Staircase with Curved Landing, Frosted Glass and Stainless Steel Railings. 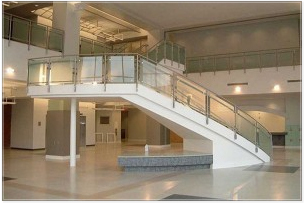 Joint Deployment Fleet Forces Command Center, Norfolk, VA. Open Riser Curved Staircase with Stainless Steel Mesh Infill Panels. Kalamazoo/Battle Creek Intl. Airport, Kalamazoo, MI. 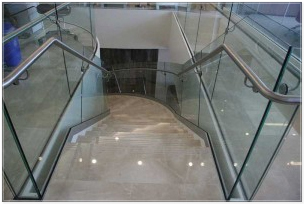 Stainless Steel Staircase with Glass Railings. 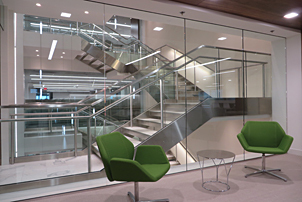 Kirkland & Ellis LLP, Washington, DC. 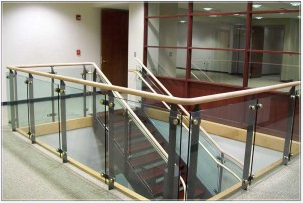 Stainless Steel Staircase, Open Riser with Tempered Glass & Stainless Steel Railings. 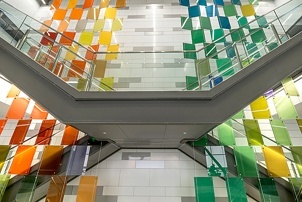 Lansing Center, Lansing, MI. 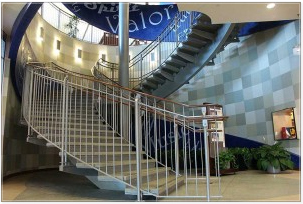 Flared Ornamental Steel Stairway with Stainless Steel Handrails. 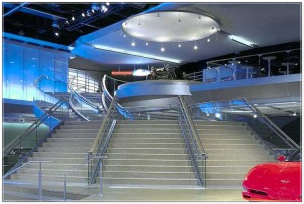 Lear Corporate Headquarters, Southfield, MI. 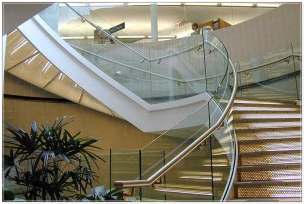 Curved Staircase, Glass Treads with Glass and Stainless Steel Railings. Meemic Insurance co., Jackson, MI. 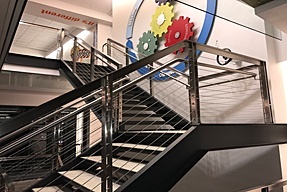 Steel Painted Staircase with Cable Railing System. 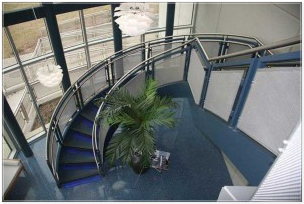 Double Helix Stainless Steel Staircase with Bent Tempered Glass Railings. Misc. Stairways. Michigan State University Federal Credit Union, Lansing, MI. 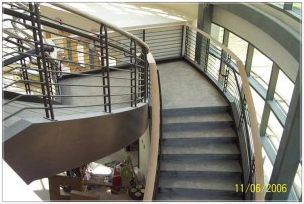 Open Rise Curved Staircase with Stainless Steel Treads and Railings. O-I Global Headquarters, Perrysburg, OH. 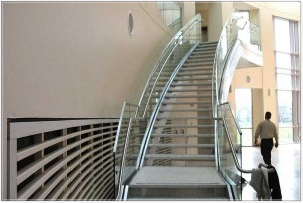 Steel Saw Tooth Staircase Design with Stainless & Glass Railings. Overture Center for the Arts, Madison, WI. 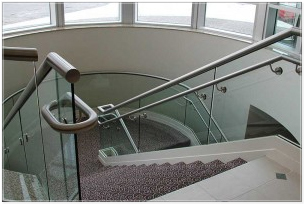 Custom curved plate stringer Staircase with glass & stainless steel handrails. Overture Center for the Arts, Madison, WI. 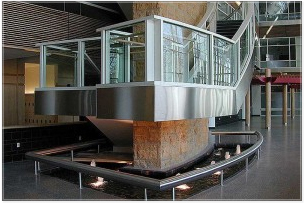 Cantilevered Double Stainless Steel Stringers with Glass Guardrails. River City Building, Grand Rapids, MI. 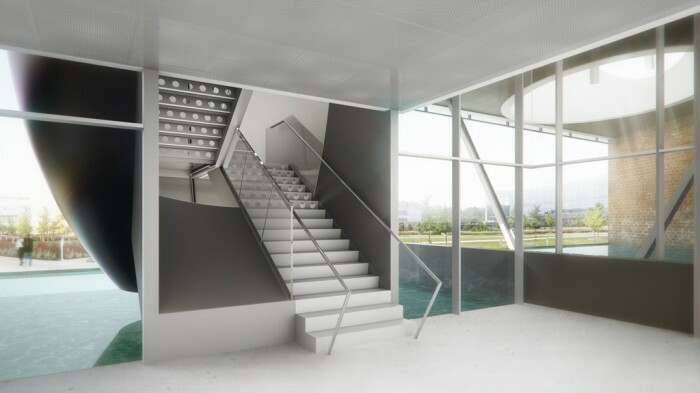 Cantilevered Staircase with Open Riser Treads, Stainless Steel and Glass Railings. Southfield Public Library, Southfield, MI. 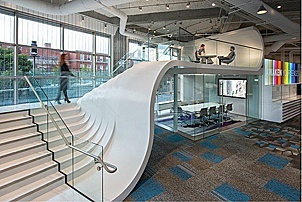 Multi Flight Cantilevered Curved Staircase & Ribbon Wall. 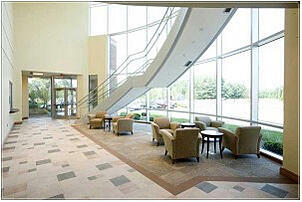 Sparrow Health System, Lansing, MI. Curved steel Staircase, painted finish, maple wood railings. St Joseph Mercy Hospital, Ann Arbor, MI. 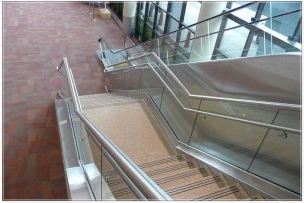 Stainless Steel Staircase, Closed Riser Stair with Tempered Glass and Stainless Steel Railings. Tuft’s University Music Hall, Medford, MA. 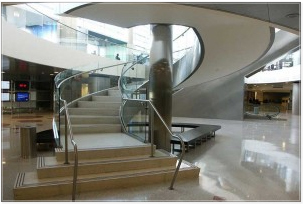 Curved Open Riser Stainless Steel Staircase with Glass Guardrails. University of Toledo, Toledo, OH. 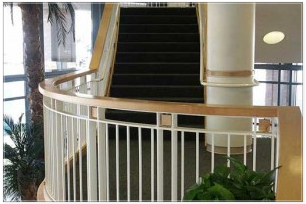 Boxed Stringer Curved Stairway with Custom Steel and Wood Railing. U.S. Federal Courthouse, Buffalo, NY. 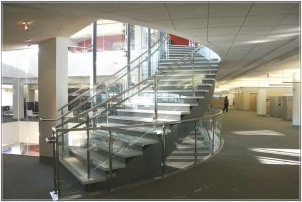 Double Helix Stainless Steel Staircase with Bent Tempered Glass Railings. Wayne State University, Detroit, MI. 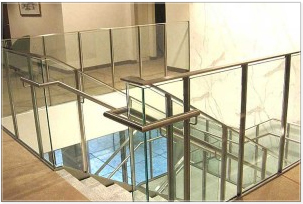 Stainless Steel Straight Staircase with Tempered Glass Railings. Western Michigan University Human Health Bldg. 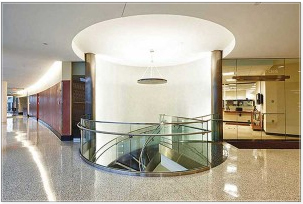 Curved Stainless Multi-flight Staircase Suspended Around Feature Wall. 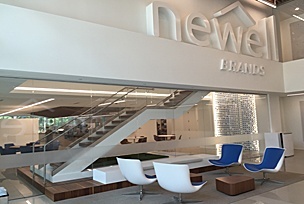 Wilcox & Savage, Virginia Beach, VA. Curved Steel Staircase with Tempered Glass & Stainless Steel Guardrails. Williamson County Courthouse Williamson, TX. 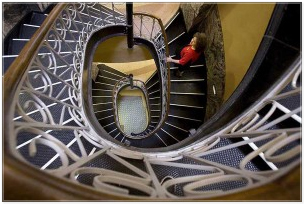 Reproduction of 100 Year Old Staircase. WSBT-TV, Mishawaka, IN. 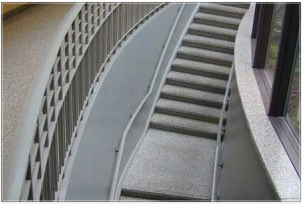 Painted Curved Staircase with Tempered Glass Guardrails. 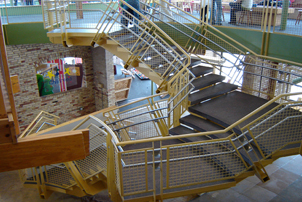 Grand Rapids, MI children's Museum double tube cantilevered curved staircase with woven wire mesh infill railing panels and stainless steel tube handrails. Bozzuto Group, Greenbelt, MD. 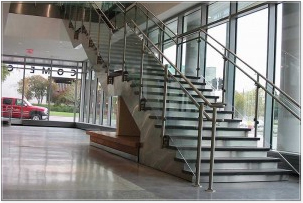 Three story stainless steel staircase, open risers with stainless steel nosings. 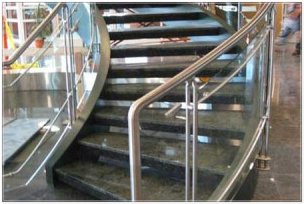 Independent tread mounted stainless handrailing. 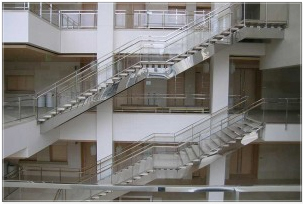 Cantilever flared staircase with steel tube stringers, steel guardrails with perforated steel infill panels. 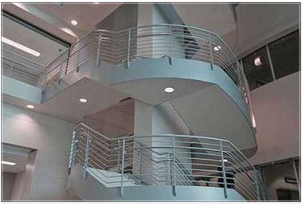 Cable suspended steel tube staircsae with stainless steel cable railing system. 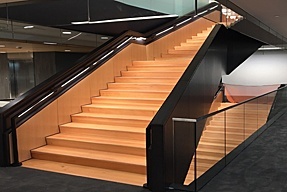 Skewed 2 story wood clad staircase with tempered glass railings. 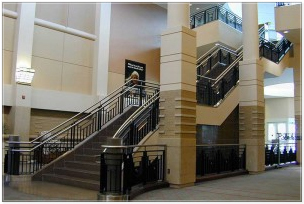 Open rise multi level staircase with custom cable guard railing and round rube stainless handrails. 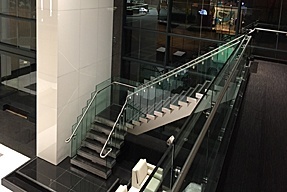 Cantilevered stainless steel staircase with stainless riser, individual per tread tempered glass rails. 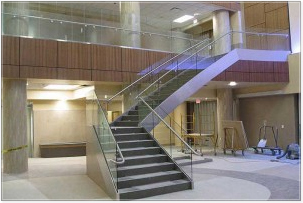 Steel staircase & structure, aluminum riser, tempered glass and stainless steel railings.